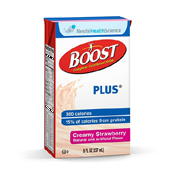 The category of "Feeding and Nutrition" spans a wide range of products that can be confusing for caregivers and patients alike who may be new to Enteral Feeding or special nutritional needs in general. And Feeding Tubes often prove to be the most challenging. 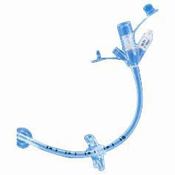 • Nasojejunal feeding tube (NJ-tube), which is similar to NG-tube feeding except that the device is passed into the stomach and the small intestine. Nasogastric and Nasojejunal tubes are considered to be temporary, while Gastrostomy tubes are generally more permanent, yet can be removed. 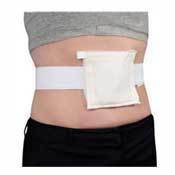 As mentioned previously, Gastrostomy feeding tubes or G-tube or "button" devices are inserted through a small incision in the abdomen into the stomach and is used for long-term enteral nutrition. 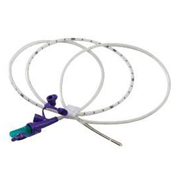 One type is the percutaneous endoscopic gastrostomy (PEG) tube which is placed endoscopically. 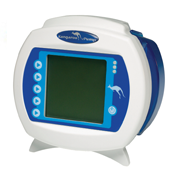 The position of the endoscope can be visualized on the outside of the patient's abdomen because it contains a powerful light source. A needle is inserted through the abdomen, visualized within the stomach by the endoscope, and a suture passed through the needle is grasped by the endoscope and pulled up through the esophagus. The suture is then tied to the end of the PEG tube that will be external, and pulled back down through the esophagus, stomach, and out through the abdominal wall. The insertion takes about 20 minutes. The tube is kept within the stomach either by a balloon on its tip (which can be deflated) or by a retention dome which is wider than the tract of the tube. 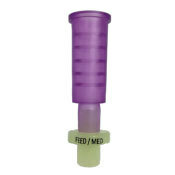 Gastric feeding tubes are suitable for long-term use, though they sometimes need to be replaced if used long term. 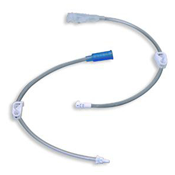 The G-tube can be useful where there is difficulty with swallowing because of neurologic or anatomic disorders (stroke, esophageal atresia, tracheoesophageal fistula), and to avoid the risk of aspiration pneumonia. 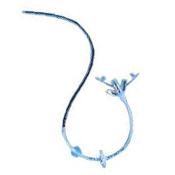 Nasogastric feeding tubes or NG-tubes are passed through the nostril, down the esophagus and into the stomach. 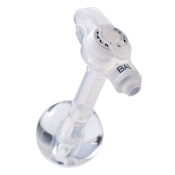 This type of feeding tube is generally used for short term feeding, usually only 2 weeks maximum. 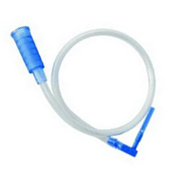 Nasogastric feeding tubes are used for long term feeding of infants. And Jejunostomy feeding tubes or J-tubes are surgically inserted through the abdomen and into the jejunum (the second part of the small intestine). The procedure is called a jejunostomy. 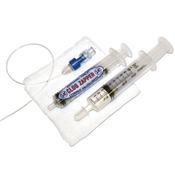 How do you prevent the feeding tube from becoming blocked? 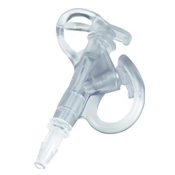 NewLeaf Home Medical carries a wide selection of Feeding Tubes and Accessories that make enteral feeding easy for our customers. 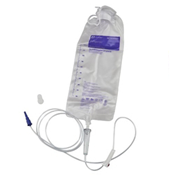 In addition to our selection of feeding tubes, we also carry a wide range of feeding bags, pumps and other accessories to help meet all of your enteral feeding needs. And if you are looking for a specific product not found on our website, please give us a call at 888.739.4330 because we will go to great lengths to find it for you at an affordable price.